Today, I want to tell you about a quick fat burning meal that you can eat. Not only is this meal fat burning, its also 100% delicious Nigerian meal that you can prepare in just 30 minutes right in your kitchen at home. This meal is so SIMPLE and all the ingredients are so widely commonly available that you can find it in any local Nigerian market irrespective of which part of Nigeria you live. And guess what, this meal is a perfect recipe for achieving weight loss because its VERY low in calorie content. it, thereby aiding fat loss. such as Bi which is required or proper functioning of the heart and nervous system. producing enzymes used for metabolism and burning fat off. Not only that, this meal is also scientifically referred to as a “anti cancer” food and is well known to significantly lower “high blood pressure”. STEP 1 – Boil water in a pot, add in the garden egg and allow to boil for 5 minutes. STEP 3 – Add your blended pepper sauce and crayfish and dried fish and stir for 5 – 10 minutes. STEP 4 – Roughly chop/crush your boiled garden egg and add the crushed garden egg into the sauce. STEP 5 – Add a pinch of salt to taste and simmer for another 6 – 9 minutes. 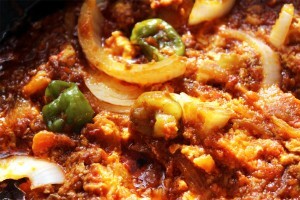 STEP 6 – Serve with a slice of boiled green plantain. I have personally prepared this meal and ate it and I can tell you that it is very deliciously tasty and fat burning and I encourage you to try and get the ingredients and make it as well. I want you to know that your rapid fat loss is 80% nutrition. That is why you need to start eating delicious fat burning meals that will help you burn off fat effortlessly from your body. The #1 “Quick” fat burning meal I showed you above was taken out of my program called The 30 Day Fat Loss Program. There are many more fat burning meals in that program that are available that you can eat for 30 days to burn fat off and you can sign up for The 30 Day Fat Loss Program here. It will help you lose weight rapidly over 30 days and over 1,200 individuals have used this same program to burn off 6kg – 10kg of fat within 30 days. I hope you enjoyed reading this article. Do leave me a comment and also share this article with friends.